Our services – MURATBEKOV LAW FIRM, P.A. The immigration laws of the United States of America provide for various types of visas for foreign citizens. Before traveling to the U.S., a citizen of a foreign country must generally obtain a non-immigrant visa for temporary stay or an immigrant visa for permanent residence. The type of visa you will need is based on the purpose of your travel. A foreign citizen may enter the United States as a visitor for pleasure to visit his family, friends or simply tour the United States. A person may also enter the United States to study in various educational institutions across the United States. 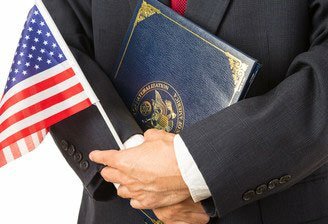 The United States immigration laws also provide for visas that are issued to those individuals, who enter the United States to work as seasonal, skilled or professional workers on temporary basis. Ask one of our lawyers of MURATBEKOV LAW FIRM, P.A..
We give our clients the highest quality advice possible.